Still able and willing to fight after their time in Bayou country (see part one of this biographical sketch), Private Tim Snyder and his fellow 47th Pennsylvania Volunteers steamed east aboard the McClellan beginning 7 July 1864, along with soldiers from the 47th Pennsylvania’s Companies A, D, E, F, H, and I. After arriving in Virginia and having a memorable encounter with President Abraham Lincoln on 12 July, they then joined General David Hunter’s forces in the fighting at Snicker’s Gap, and helped to defend Washington, D.C. and drive Confederate troops from Maryland. On 24 July, C Company Captain John Peter Shindel Gobin was promoted to the central regimental command staff at the rank of Major. 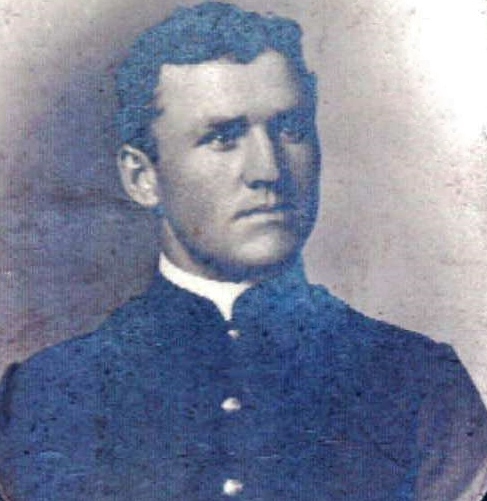 Described by C Company Musician Samuel Pyers as “our hardest engagement,” the late summer and fall of 1864 became the defining period of the Civil War for Private Tim Snyder and his fellow 47th Pennsylvania Volunteers. Attached to the Middle Military Division, U.S. Army of the Shenandoah beginning in August 1864, and placed under the leadership of legendary Union General Philip H. Sheridan and his subordinate Brigadier-General William H. Emory, they displayed great valor, and lost many of their friends and neighbors. The month of September began with good news as C Company’s 1st Lieutenant Daniel Oyster was promoted to the rank of Captain, William Hendricks was promoted from 2nd to 1st Lieutenant, and Sergeants Christian S. Beard and William Fry were promoted to the ranks 2nd Lieutenant and 1st Sergeant on 1 September. That same day, Private Tim Snyder became Corporal Tim Snyder. But their tranquility was short-lived as skirmishes with the enemy flared into the Battle of Berryville, Virginia. On 5 September, Captain Daniel Oyster sustained a serious gunshot wound to his shoulder. By mid-month, a significant number of 47th Pennsylvanians were packing their bags for home, permitted to muster out upon expiration of their three-year terms of service. Realizing the fight was far from over, Corporal Tim Snyder opted to stay. Inflicting heavy casualties during the Battle of Opequan (also known as “Third Winchester”) on 19 September 1864, the remaining 47th Pennsylvania Volunteers and Sheridan’s other gallant blue jackets forced a stunning retreat of Confederate Major-General Jubal Early’s grays – first to Fisher’s Hill (21-22 September) – and then to Waynesboro after a successful early morning flanking attack. These impressive victories helped Abraham Lincoln secure his second term as President. But once again, there were significant Union casualties – including Corporal Tim Snyder, who sustained a knee wound in fighting near the Opequon Creek. A week later, the 47th’s first and second in command – Colonel Tilghman Good and Lieutenant Colonel George W. Alexander – were on their way home, mustered out upon expiration of their own three-year terms of service, and replaced by officers equally respected by the rank and file – including Sunbury native John Peter Shindel Gobin. On 19 October 1864, Major-General Early’s Confederate forces briefly stunned the Union Army in a surprise attack at Cedar Creek. 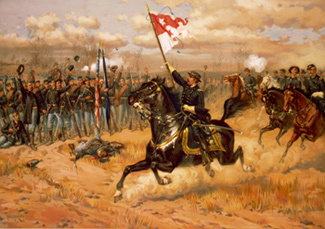 Sheridan, though, was able to rally his troops. The resulting fight raged for hours and ranged over a broad swath of Virginia farmland until, finally, the Confederate troops, weakened by hunger caused by the Union’s earlier destruction of valley crops, peeled off one by one to forage for food while Sheridan’s forces fought on to win the day. Afterward, as the numbers of Union wounded, missing and dead were tallied, it became clear that the Battle of Cedar Creek had been the costliest of all of the engagements waged to date by the 47th Pennsylvania Infantry. The regiment sustained 176 casualties – the equivalent of nearly two full companies of men – including C Company Captain Daniel Oyster who sustained a second gunshot wound – this time to his other shoulder. Ordered to winter at Camp Russell near Winchester from November through December, the 47th Pennsylvania continued to adjust its staffing, advancing Major John Peter Shindel Gobin to Lieutenant Colonel on 4 November 1864 and Corporal Samuel Eyster to the rank of Sergeant. Five days before Christmas, Corporal Tim Snyder and his fellow 47th Pennsylvanians were ordered to march again – this time through a snowstorm for outpost duty at Camp Fairview in Charlestown, West Virginia. 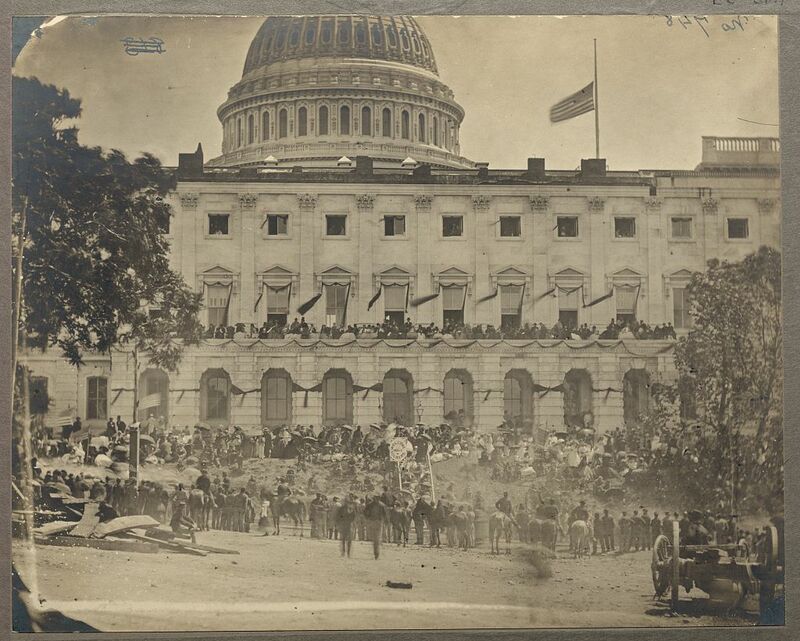 Matthew Brady’s photograph of spectators massing at the side of the crepe-draped U.S. Capitol, for the Grand Review of the Armies, 23-24 May 1865. Note flag at half mast following the assassination of President Abraham Lincoln (U.S. Library of Congress, public domain). Receiving his final promotion in January 1865, to the rank of Colonel, Sunbury Guardsmen John Peter Shindel Gobin was now also the commanding officer of the 47th Pennsylvania Volunteer Infantry. Attached to the Provisional Division of the 2nd Brigade of the Army of the Shenandoah beginning in February, he and his men were ordered back to Washington, D.C. on 19 April 1864 to defend the nation’s capital – this time following President Lincoln’s assassination. In the aftermath of that terrible day, C Company Musician Samuel H. Pyers was one of those given the high honor of protecting the late President’s funeral train from Washington, D.C. to the Baltimore and Ohio Railroad’s Relay House in Maryland. Other members of the 47th Pennsylvania Volunteers were assigned to guard duty at the Old Capitol Prison in Washington, D.C. where the primary Lincoln assassination conspirators were being held (and where they would soon be put on trial). Letters home from several members of the 47th confirm this latter duty assignment, as do letters penned by John Frederick Hartranft, the commanding officer of that prison during this phase of duty for the 47th Pennsylvania. * Note: Brevet Major-General John Frederick Hartranft, who would go on to become the 17th Governor of the Commonwealth of Pennsylvania, was not only the commanding officer of the Old Capitol Prison. He was also the Union officer who read the death warrant to Mary Surratt and the other Lincoln assassination conspirators on the day that they were executed (7 July 1865). From 23-24 May 1864, while attached to Dwight’s Division, 2nd Brigade, U.S. Department of Washington’s 22nd Corps, Corporal Tim Snyder and his fellow 47th Pennsylvania Volunteers marched in the Union’s Grand Review of the Armies, a lengthy parade along the streets of Washington, D.C. by roughly 100,000 Union artillery, infantry and hospital troops. Reviewed by new President Andrew Johnson, who succeeded the recently assassinated President Abraham Lincoln, the Union forces were cheered on throughout their march by more than a quarter of a million men, women and children. Afterward, Corporal Tim Snyder and his fellow 47th Pennsylvanians were ordered back to the Deep South for Provost (military police) and Reconstruction-related duties. 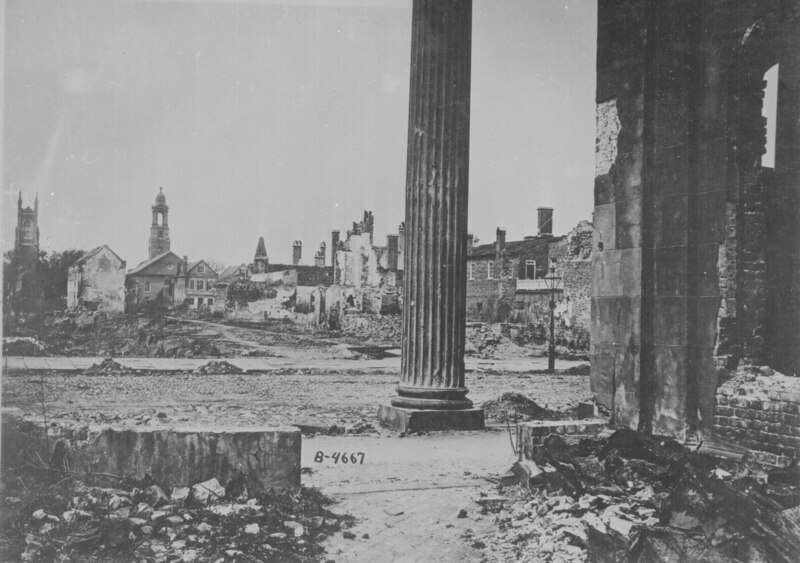 Ruins of Charleston, South Carolina as seen from the Circular Church, 1865 (U.S. National Archives and Records Administration, public domain). 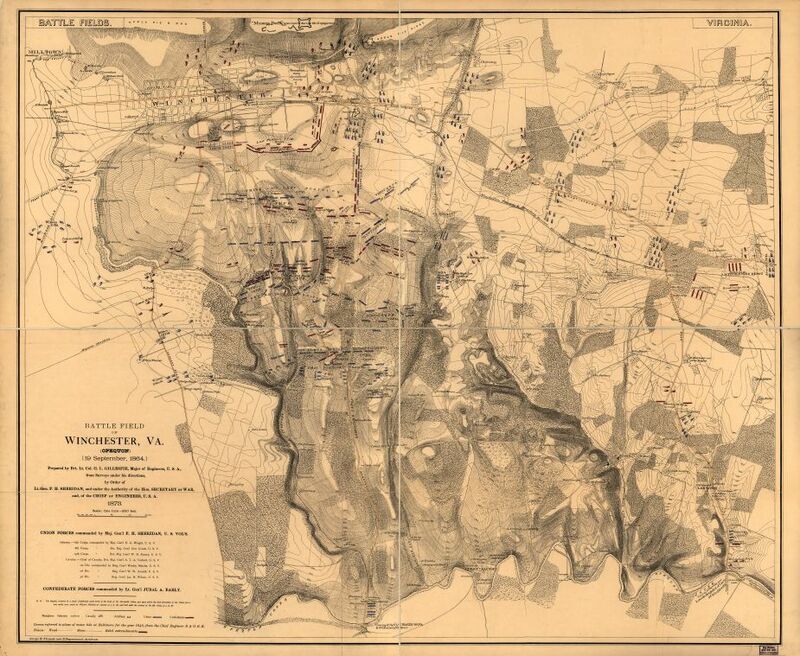 Garrisoning the city with the 47th Pennsylvania at this time were the members of the 165th New York Volunteers, companies of the 3rd Rhode Island Artillery, and the 54th Massachusetts Volunteers, the trailblazing black soldiers renowned for their gallant 1863 assault on Fort Wagner. As Corporal Tim Snyder continued his service with the 47th Pennsylvania that fall in Charleston, his younger brother Ellis was mustering out, honorably discharged on 9 November 1865 from Battery D of the 3rd Artillery, 152nd Pennsylvania Volunteers. Finally, on Christmas Day 1865, Tim Snyder and most of his fellow 47th Pennsylvanians were also permitted to conclude their own Civil War service. Following their Charleston muster out, a stormy sea voyage to New York and train ride to southeastern Pennsylvania, they received their honorable discharge papers at Camp Cadwalader in Philadelphia on 9 January 1866. After returning to home to the great Keystone State, Tim Snyder resumed work as a carpenter, and began to build a new family. On 12 June 1870, he wed Catharine Boyer (1850-1918) at Zion’s Evangelical Lutheran (German) Church on the corner of Fourteenth and Market Streets in Ashland, Schuylkill County. A native of Weishample, Schuylkill County, Katie Boyer was a daughter of Joseph and Salome (Bixler) Boyer, and was known later in life as “Kate.” Children followed quickly, beginning with the birth of son Henry E. Snyder in Ashland on 12 February 1871. * Note: Although certain sources indicate that Henry Snyder was born on 12 February 1870, that year was based on a transcription of marriage records of Zion’s Evangelical Lutheran Church. (This church’s original marriage, birth and baptismal ledgers were transcribed decades ago by hand into written form before being re-entered onto different lists by typewriter. Unfortunately, those well-meaning transcribers anglicized the spellings of names and created additional mistakes in the data through inadvertent typographical errors. One such mistake was the misspelling of Catharine Boyer’s given name as “Catherine,” an error which has been repeated time and again in family histories created by amateur and professional genealogists. Equally frustrating, present day church leaders have been unable to correct these inaccuracies because the original records are damaged or missing.) Therefore, because Snyder family Bible records documented the marriage date of Timothy M. Snyder and Catharine (Boyer) Snyder as 12 June 1870, researchers for this website believe that the birth year of Tim and Kate Snyder’s first child, Henry, was most likely 1871, rather than 1870, and are using that date here. Sadly, this first son of Tim and Kate Snyder did not survive infancy; he passed away in Ashland on 13 June 1871. No record of his burial location has been found to date. On 6 July 1872, the young couple experienced a second tragedy when their second son, Mark M. Snyder was stillborn. His grave site also remains unidentified. Just over a year later, joy returned to their home when their third son, John Hartranft Snyder, was born in Ashland on 13 November 1873. He was named for John Frederick Hartranft, the former Union officer who had served as commanding officer of the Old Capitol Prison in Washington, D.C. – the prison where the key Lincoln assassination conspirators were being held and tried (and where, during this same time, several members of Tim Snyder’s Civil War regiment had been assigned to guard duty). As Pennsylvania’s 17th Governor, Hartranft took office the same year that John Hartranft Snyder was born (1873), and became known not just as a fighter against political corruption, but as a proponent of public school education, a protector of average working men and women and an advocate of suffrage for African Americans. * Note: The choice by Tim and Kate Snyder to name their third child after this American hero was a wise one. John Hartranft Snyder survived childhood to become a respected Schuylkill County civic leader. After marrying and beginning his own family, he became one of the co-founders of the Lavelle Telegraph and Telephone Company. Chartered in 1908, the company is credited with bringing the first telephone service to homes in Lavelle, Ashland and surrounding communities, and was later bought by the Bell Telephone Company of Pennsylvania. John H. Snyder and his wife, Minnie (Strohecker) Snyder also operated a dry goods store from the ground floor of the home on Main Street in Lavelle. Benefactors of their local church, they helped their congregation purchase and install beautiful stained glass windows. Following a long illness and major surgery for cancer, John Snyder passed away in Lavelle on 5 August 1944, and was interred at the Citizens’ Cemetery in that city. On 3 January 1876, Tim and Kate Snyder welcomed their fourth child to their Ashland home – Timothy Grant Snyder. Like his older brother, John, he was named for a Civil War icon – Ulysses S. Grant, the general who planned the operations which ultimately led to the Union’s victory over the Confederate States of America. * Note: Timothy Grant Snyder was also a healthy infant who survived to become a robust adult. As a Private with the U.S. Marine Corps during the Spanish-American War, he was stationed at naval yards from Portsmouth, New Hampshire to Norfolk, Virginia, as well as on the U.S.S. Buffalo as it visited Port Said, Egypt, and on Admiral George Dewey’s flagship, the U.S.S. Olympia, from February to October 1899. Promoted to the rank of Corporal on 2 January 1900, he was then assigned to the U.S.S. 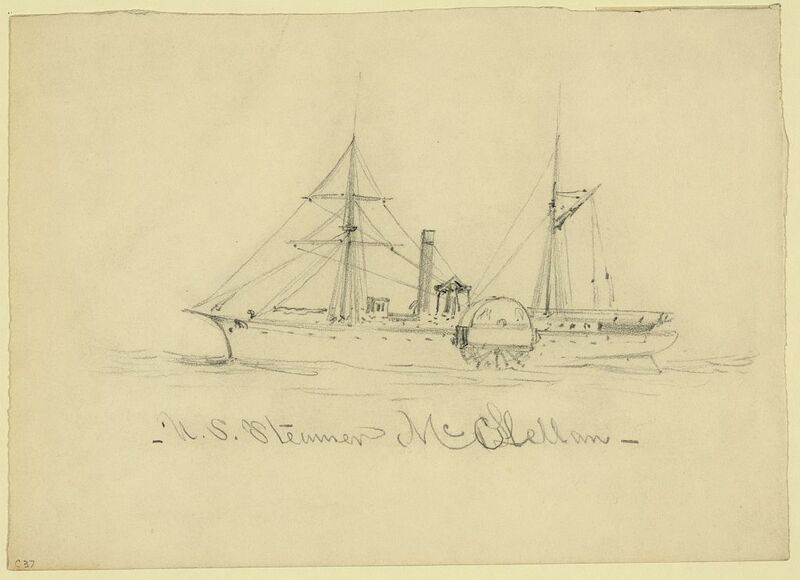 Massachusetts, and ultimately received his honorable discharge on 25 April 1903. Following his return home, he married and started his own family before embarking on a career as a conductor with the Philadelphia and Reading Railroad Company. Injured on the job sometime around 1920, he passed away in Allentown, Lehigh County on 11 December 1925, and was laid to rest at St. Mark’s Cemetery in that city. Before the decade of the 1870s had passed, Tim Snyder’s younger sister Emma had also begun her own family. 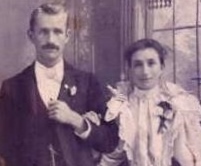 After marrying John K. Hepler (1844-1891), she built a life with him in Pitman, Eldred Township, Schuylkill County. Fortunately, joy reemerged at the Snyder household as the new decade progressed. On 12 March 1883, daughter Florence M. Snyder opened her eyes for the first time in Ashland. She would later become known as “Flora” to her family and friends. Son William Emery Snyder then made his appearance in Ashland on 3 August 1885. Like his two older, surviving brothers, he too was named for a respected military leader – Major-General William Hemsley Emory – the Union Army officer under whom Tim Snyder’s former Civil War regiment served in 1864 during the Red River Campaign across Louisiana and the Shenandoah Valley Campaign in Virginia. Daughter Lillie May Snyder was then born two years later in Ashland on 13 September 1887. Like her immediate predecessors, she also was healthy enough to survive infancy. Destined to become a governess charged with caring for the children of a prominent Berks County dentist, she ultimately pursued training to become a licensed practical nurse – a career that inspired one of her nieces to become a head nurse in the women’s and children’s ward at Peter Bent Brigham Hospital in Boston, Massachusetts during the 1940s. But once again, the joy experienced by the Snyder clan was short-lived; and this time, the tragedy they faced would be so devastating that it would set off a series of catastrophic events which rocked and disrupted their lives for more than a decade. Throughout the family’s highs and lows, Timothy Matthias Snyder did his utmost as a working carpenter to support his wife and children. Putting daily bread on their table, he shepherded them through the Panic of 1873 (the financial crisis which led to a depression across North America and Europe through 1879), and helped them rebound from illnesses caused by their era’s virulent diseases and their community’s poor water quality. Whether it was the toll that was taken on his physical health during his Civil War service or simply the stress of his difficult family life, by 1889, his body could take no more. On 10 May of that year, he suffered a fatal heart attack in Ashland, Schuylkill County. They took this action not because Kate (Boyer) Snyder was uncaring, but because she was eight months pregnant. At the age of 39 and with a history of failed pregnancies, the state of her own health had already been precarious – and had been made more so by her husband’s untimely death which thrust her, in the blink of an eye, into the position of head of a household with five children and another soon to make its appearance. Thanks to the appeal of Drummond, Moyer and Reese, Schuylkill County leaders provided a total of $35 in support for the funeral and burial of Timothy Matthias Snyder, allocating $5.00 for “layout of the body,” $4.00 toward the hiring of a hearse, $6.00 for the purchase of a burial plot, and $20 for the purchase of a coffin (although this latter amount may have been less – possibly $2.00 – since there were numerous errors in decimal point placements on the burial form completed for the deceased). Just over a month later, the last child of Tim and Kate Snyder was born in Ashland on 14 June 1889. Kate named her “Salome” – a derivation of the Hebrew word for “peace.” Tragically, the name was not strong enough to protect this little one. Like her older siblings before her, Salome E. Snyder died in infancy, passing away on 17 June 1890 – just three days after her first birthday. The exact location of her grave also remains unknown. At first blush, the life story of Timothy Matthias Snyder may appear to some readers to be a disheartening one filled with little joy or hope, but as John Donne reminded us, “when one man dies, one chapter is not torn out of the book, but translated into a better language.” This was particularly true for Tim Snyder’s surviving children and their descendants. Learn more about the fate of Tim’s loved ones in What Happened to the Wife and Children of Timothy Matthias Snyder? 1. A Badge from Admiral Dewey and Schuylkill County (announcements of Timothy Grant Snyder’s service on Admiral Dewey’s flagship). Reading, Pennsylvania: Reading Eagle: 3 October 1899, 21 November 1899. 2. Application for Marriage License (Timothy G. Snyder and Alice M. Blake). Reading, Pennsylvania: Berks County Marriage Records, 4 November 1918. 3. Baptismal, marriage, military, death, and burial records of the Snyder family. Pennsylvania, California, Florida, Louisiana, Massachusetts, Nevada, Ohio, etc. : Snyder Family Archives, 1650-present; and in Historic Pennsylvania Church and Town Records (baptismal, marriage, death and burial records of various churches across Pennsylvania). Philadelphia, Pennsylvania: Historical Society of Pennsylvania, 1776-1918. 4. Banks, Nathaniel P. General Banks’s Report of the Red River Campaign, in Annual Report of the Secretary of War, in Message of the President of the United States, and Accompanying Documents, to the Two Houses of Congress, at the Commencement of the First Session of the Thirty-Ninth Congress. Washington, D.C.: Government Printing Office, 1866. 5. Bates, Samuel P. History of Pennsylvania Volunteers, 1861-5. Harrisburg, Pennsylvania: Pennsylvania State Archives. 6. Bell, Herbert C. History of Northumberland County, Pennsylvania, Including Its Aboriginal History; the Colonial and Revolutionary Periods; Early Settlement and Subsequent Growth; Political Organization; Agricultural, Mining, and Manufacturing Interests; Internal Improvements; Religious, Educational, Social, and Military History; Sketches of Its Boroughs, Villages, and Townships; Portraits and Biographies of Pioneers and Representative Citizens, Etc., Etc. Chicago, Illinois: Brown, Runk, & Co. Publishers: 1891. 7. Egle, M.D., William Henry, ed. Pennsylvania in the War of the Revolution: Associated Battalions and Militia, 1775-1783, Vol. I. Harrisburg, Pennsylvania: E. K. Meyers, State Printer, 1890. 8. Johann Nicholas Schneider, et. al., in Genealogical and Biographical Annals of Northumberland County, Pennsylvania, Containing a Genealogical Record of Representative Families, Including Many of the Early Settlers, and Biographical Sketches of Prominent Citizens, Prepared from Data Obtained from Original Sources of Information. Chicago, Illinois: J. L. Floyd & Co., 1911. 9. Lutz, June Shaull. A Historical Account of the Schneider/Snider/Snyder Family. Grand Rapids, Michigan: J. S. Lutz, 1981. 10. 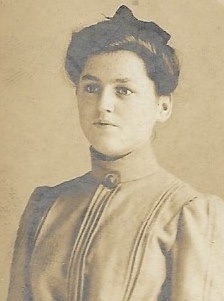 Mrs. Timothy Snyder (pneumonia recovery), in Schuylkill County. Reading, Pennsylvania: Reading Eagle, 4 February 1896. 11. Reports of Maj. Gen. N. P. Banks (dated 6 April 1865), et. al., in The War of the Rebellion, Vol. XXXIV: A Compilation of the Official Records of the Union and Confederate Armies. Washington, D.C.: Government Printing Office, 1891. 12. Schmidt, Lewis G. A Civil War History of the 47th Regiment of Pennsylvania Veteran Volunteers. Allentown, Pennsylvania: Self-published, 1986. 13. Snyder, Catharine, John, Timothy, Lillie, and Salome, in A Directory of the Eleventh Census of the Population of Schuylkill County, Giving the Names and Ages of Males and Females, Published by Cities, Boroughs, Wards, Townships, Precincts or Towns, in Connection with a Business Directory of the Same for Advertising Purposes. Lebanon, Pennsylvania: E. A. Schartel, Publisher, 1891. 14. Snyder, Johann Nicholas (Ancestor No. A106950), in Ancestor Database. Washington, D.C.: Daughters of the American Revolution. 15. Snyder, Laurie. 47th Pennsylvania Volunteers: One Civil War Regiment’s Story. Retrieved Online: 10 May 2017. 16. Snyder, Timothy (Timothy Matthias Snyder), in Civil War Muster Rolls, in Records of the Department of Military and Veterans’ Affairs (Record Group 19, Series 19.11). Harrisburg, Pennsylvania: Pennsylvania Historical and Museum Commission, 1861-1866. 17. Snyder, Timothy G., in Muster Rolls, U.S. Marine Corps. Washington, D.C.: U.S. National Archives and Records Administration, 1898-1903. 18. Snyder, Timothy M. and Timothy G. Snyder, in Pennsylvania Veterans’ Burial Index Cards. Harrisburg, Pennsylvania: Pennsylvania Department of Military and Veterans Affairs, 1889. 19. Snyder, Timothy M. and Snyder, Ellis A., in Civil War Veterans’ Card File, 1861-1866. Harrisburg, Pennsylvania: Pennsylvania State Archives. 20. Timothy M. Snyder and Catharine Snyder, et. al. in Claims for Widow and Minor Pensions, in U.S. Civil War Widows’ Pension Files. Washington, D.C.: U.S. National Archives and Records Administration, 1889-1918. 21. Timothy M. Snyder, Catherine [sic] Snyder, and William Snyder, in Annual Report of the Pennsylvania Commission of Soldiers’ Orphan Schools for the Year Ending May 31, 1901. Harrisburg, Pennsylvania: Wm. Stanley Ray, State Printer of Pennsylvania, 1901. 22. Timothy Snyder and Henry D. Wharton (as “H. D. W.”), et. al., in Letters from the Sunbury Guards. Sunbury, Pennsylvania: Sunbury American, 1861-1866. 23. U.S. Census. Washington, D.C. and Pennsylvania: 1840, 1850, 1860, 1870, 1880, 1900, 1910, 1920, 1930, 1940. 24. U.S. Veterans’ Schedule. Washington, D.C. and Pennsylvania: 1890.